Your fireplace should always be the main focal point in your home. At Adept Fireplace Installations we can supply and install bespoke stone fireplaces from a whole host of stone materials, fitting our fireplaces into any design, space or size. We take a real pride in our ability to work with various designers to produce truly unique stone fireplaces. We can cater to your individual needs providing stone fireplace installers throughout . However large or demanding your project might be, my small team of well-experienced installers and natural stone experts can deliver an inspired solution that is truly bespoke to your individual style, taste and requirements. Ideally located in Basingstoke, we can cover up to a 40-mile radius including areas of Surrey and Hampshire. Our services are aimed at customers who would like to buy their own stone fireplace, whether it be from our store or online, our stone fireplace installers are on hand to help you choose the perfect fireplace for your home. 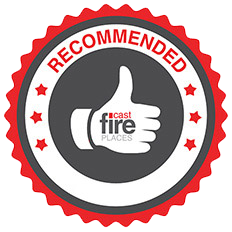 We can provide you with a complete fireplace solution, all under one roof including stoves and the very latest hole-in-the-wall fireplaces across and Surrey.